I really like self help books. I am on the quest for constant improvement and I have found self help books to be a great way to further this effort. Most recently I read How to Stop Worrying and Start Living by Dale Carnegie and absolutely loved it! Often, it is easy to get caught up with issues that either aren't really that big of a deal or that can't be changed. This book has helped me to put things in perspective so I thought I would share my biggest takeaways. 'The north wind made the Vikings.' Think about that for a moment: 'The north wind made the Vikings.' By facing challenges we are forced to either give up or overcome. There is no use spending time and energy worrying about the problems we have, there is only value in working to overcome them. Instead of complaining and getting frustrated, let us instead work to the best of our ability to combat our issues or at least improve our situation. A perspective on the mystery of religion: "The fact that we don't understand totally the mysteries of our bodies or electricity or a gas engine doesn't keep us from using and enjoying them. The fact that I don't understand the mysteries of prayer and religion no longer keeps me from enjoying the richer, happier life that religion brings." Struggling with being asked to have faith in something you do not, and can never hope, to fully understand can keep many from religion. However, there is something to be said for sharing your troubles with a power larger than yourself and the act of prayer can help to relieve you of the burden of your worries. Just as our bodies are a mystery to us yet we still enjoy them, we can reap the benefits of prayer without comprehending the mystery of a higher being. How to keep from worrying while you work: "1) Clear your desk of all papers except those relating to the problem at hand (this is so so so important!) 2) Do things in order of their importance 3) When you face a problem, solve it then and there if you have the facts necessary to make a decision. Don't keep putting off decisions 4) Learn to organize, deputize, and supervise." I could write endlessly on the power of having a streamlined working method that increases your productivity and keeps you from worry (I'll probably post about this again) but I think that Mr. Carnegie sums it up quite nicely. If you follow the four rules above it will be very difficult for you to find anything to worry about. This is a small selection of all that the book has to offer. I highly recommend you take a look at it! 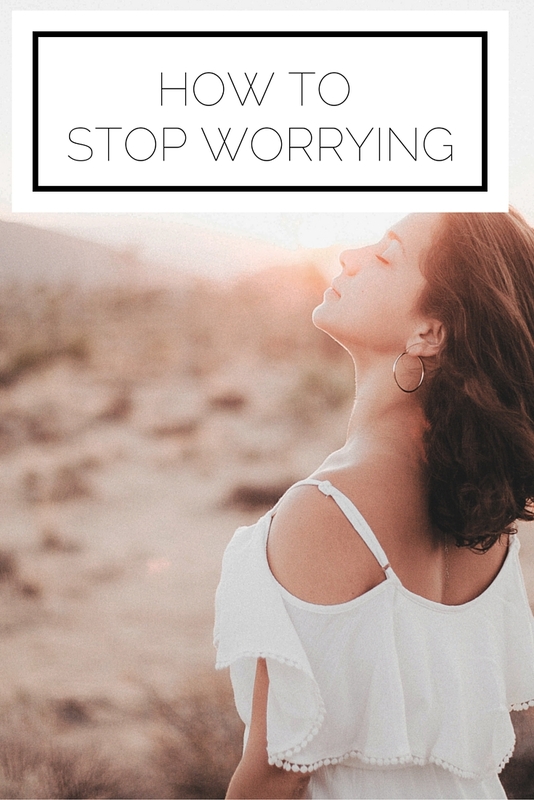 Do you often find yourself worrying? How have you addressed it?